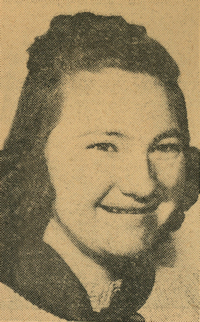 Obituary – Harris, Peggy Lorraine (Dixon) « Perry High School Alumni Association, Inc.
﻿- daughter of Mr. and Mrs. P. A. Dixon, is 17 years old, having been born April 17, 1923, at Morrison. She has attended the Perry school for 12 years, and has been treasurer of the sophomore class, vice-president of the band, vice-president of her senior home room, business manager of the Perryscope and secretary-treasurer of the senior class. Peggy has been a member of the Perry band for six years and also belongs to the mixed chorus. She was business manager for the senior play and for two years was named in the tri-state mass band. She plans to attend business college next year. 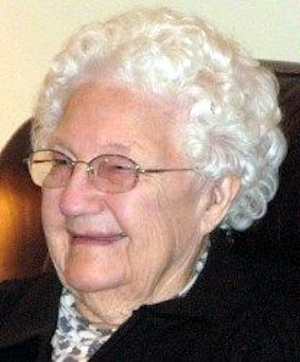 Peggy Lorraine Harris, 94, homemaker, died March 23, 2018. Services 2 p.m. Saturday, Memorial Park Cemetery Historic Chapel (Memorial Park, Oklahoma City). She will be best remembered for love of family. She was a devoted wife and mother and always affectionate and adoring of her family. Over the course of her life she made many friends and could always be counted on. She held a deep love for the Lord and at an early age was baptized into the Christian faith. Peggy was born on April 17, 1923 in Morrison, Oklahoma. She was the only child of Pearn A. & Lela Marie Dixon. She spent her youth growing up in Perry, Oklahoma, graduating from Perry High School in 1941 and then attended Draughon’s School of Business in Oklahoma City, Oklahoma. In 1945, she married Sterling D. Harris and over the course of their 55 year marriage, the couple raised two daughters. As a wife, she always shared in her husband’s successes and as an attentive mother, she always supported her children. Peggy will be greatly missed by her children, Connie and husband, Jerry Hogue; Jan and husband, Brad Yoder; grandchildren Debi Pickren and husband Marc, Lori Hogue, Christopher Yoder and wife Shari, Amy Andrews and husband Kenny, as well as her six great grandchildren.